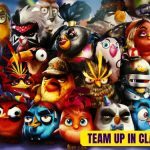 Yes, you got it right – it’s another Angry Birds title from Rovio. 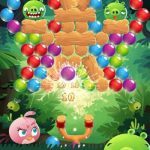 A few days ago, we brought you some tips for Angry Birds: Stella Pop, which essentially crosses the Angry Birds gameplay you know and love with that all-time favorite, Match 3 gaming. In this game, which is only available for iOS devices as of the moment, you’ll be taking the Angry Birds to Piggy Island, but this time around, the island is “under pigstruction.” That means the pigs have created some ultra-hard levels and more tough puzzles for the Angry Birds to solve. 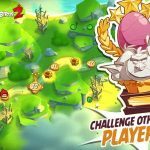 As this is a fairly new title, you may want to look at these Angry Birds Under Pigstruction cheats, tips and strategies for better success in solving those puzzles and clearing those levels with three stars. One of the most satisfying things in Angry Birds games, in general, is using a domino effect to topple a piggy structure. This also applies in Angry Birds: Under Pigstruction – aiming for one of a structure’s supports and knocking that pillar down could cause the whole structure to collapse, and in many cases, collapse into a separate structure. It’s a whole lot of fun to pull this off, but if you aren’t familiar with the physics in the Angry Birds series, this may take a bit of practice. In conjunction with the above tip, your best bet is often to aim for the base of the structure. This not only helps you pull off those “domino effect” moves, but also serves as a nice desperation plan when you’re down to your final bird and still have a number of Piggies to take out. Don’t panic if you’re all out of birds and you haven’t wasted the Piggies just yet. There is a way to add an additional bird when you’re fresh out, and that’s by watching promotional advertisements. It may be tedious, and not everyone enjoys watching these ads, but if you get yourself a bird with some special skills (in other words, any bird but the red one), it’ll be worth it. Then again, that’s the caveat to this “cheat” – the bird you’ll receive will be a random one. Matilda is the white bird in the series and while you may know her as the Angry bird who drops egg bombs, there’s more to her than simply dropping bombs. Yes, it’s all good that those egg bombs can take out structures upon contact, but Matilda also moves upward after she releases the bombs – you can use this “second wind,” if you can call it that, to have her take out another structure on top of the first one she bombed. 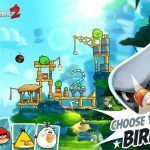 Angry Birds: Under Pigstruction is different from its predecessors as it allows players to choose the order in which their birds attack. You’ll get access to the top three birds in your deck of cards, and once you draw these top three, you can choose whomever you want to start your onslaught on the Piggies.